This article was done by my baby (9 years old) today - unedited, unadulterated. 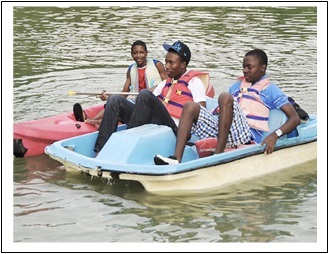 She went to Apple Valley in St. Elizabeth on a school trip recently so I asked her to share her experience with us on the site. 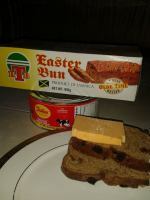 Well she presented me this. And believe me, I was very impressed. I hope that you find it insightful. 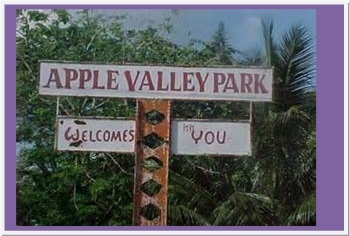 Apple Valley Park is located in Maggotty, St.Elizabeth, Jamaica. It was built over the Maggotty river. The Spaniards, some of Jamaica’s earliest settlers, settled there, so if you go along that part of St. Elizabeth you will find that many people in Maggotty have Spanish names. 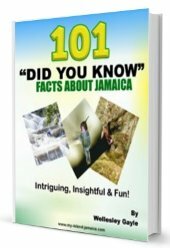 The Spaniards settled in my little island Jamaica from 1509 – 1655, during that time the Spaniards had children and the pot was brought to Jamaica for boiling sugar (the big pots). That is some of what I learnt at Apple Valley Park. I wasn’t really listening to the rest because afterwards they showed us the slide and the pool and I was anxious to go in the pool and on the slide, that I completely tuned them out, enough about me. Now, to what I did there. I swam in three pools, but there are five pools there. I went on both slides, the swing, the see-saw, the bounce-a-bout, and most importantly THE FALL!!!! In there was very cold and wonderful but best of all, the water was so forcibly moving I almost fell but fortunately, I didn’t . I didn’t go on the paddle boat ride because I didn’t believe them that the depth is 2 feet, they do their fishing on the opposite side of the river. They also had an adult pool there, where the depth is 5.6ft. I was having my fun until the Irwin primary school children showed up. The people that work there told us that we weren’t allowed to go in the adult pool because we are in Grade Four and they didn’t want us to drown, just because the other children were in Grade Six. I was very angry but then I went back in the fall and a man that was watching us carried us up some steps and showed us some mountains, it was a blast!!! I WISH I NEVER LEFT!!!! I LOVE APPLE VALLEY PARK!!! Lovely! I know that this is the first of many more articles to come - Congrats baby!